The inaugural Salon International de l'Automobile de Monaco (SIAM) is taking place from 16-19 February. Transforming the famous strip of coastland into an open air International Motor Show, the event will be attended by HSH Prince Albert II of Monaco. At the heart of a state whose history is intimately linked to the Automobile, the 1st Monaco International Auto Show will showcase ‘ecological, innovative and prestige vehicles’. With this in mind, Italian automotive design house Pininfarina has already confirmed its attendance at the show, bringing its hydrogen powered H2 Speed concept. Recently, Prince Albert welcomed the team of Pininfarina and 'Green GT' who privately presented to him the H2 Speed concept – the world’s first electric-hydrogen, high performance car – that they jointly developed. The H2 Speed, already awarded Best Concept at 2016 Geneva Motor Show, will be exhibited on the Michelin stand. Thanks to its eco technology, the concept car meets the spirit of the first Monaco International Motor Show, which is committed to sustainable and responsible development as well as reducing its environmental impact. 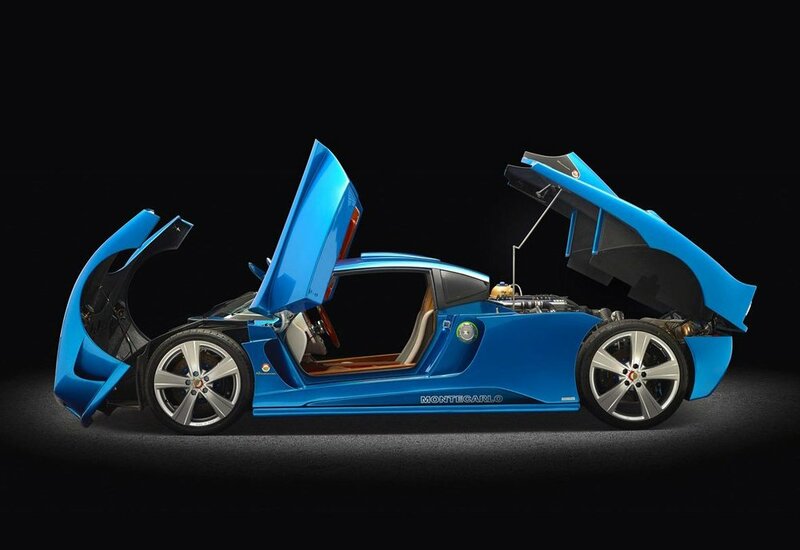 Halfway between a racing prototype and a production supercar, the H2 Speed features ‘Full Hydrogen Power’ technology presented by Green GT, with its powerful electric-hydrogen fuel cell drive chain. The result is a zero emissions vehicle that can reach 186mph while releasing just water vapour into the atmosphere. With a maximum power of 503 bhp, the H2 accelerates from 0 to 62mph in 3.4 seconds. Meanwhile, 'Monte Carlo Automobile' (MCA) has also confirmed its attendance and announced it will present a world premiere, possibly a new model following on from 2014’s ‘Rascasse’. Other exhibitors include Tesla, Lamborghini, Porsche, Mercedes, Ferrari, Aston Martin, Lexus, Maserati while Renault has already confirmed it will bring the all-electric Trezor concept - first seen at the 2016 Paris Motor Show.